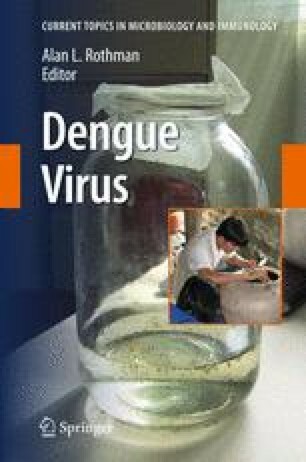 Vascular leakage is the most serious complication of dengue infection. However, despite considerable progress in understanding the immunological derangements associated with dengue, the pathogenic mechanisms underlying the change in vascular permeability remain unclear. Lack of suitable model systems that manifest permeability characteristics similar to human vascular endothelium has seriously impeded research in this area. Similarly, limited knowledge of the factors regulating intrinsic microvascular permeability in health, together with limited understanding of the alterations seen in disease states in general, has also hampered progress. Fortunately considerable advances have been made in the field of endothelial biology in recent years, especially following appreciation of the crucial role played by the endothelial surface glycocalyx, acting in concert with underlying cellular structures, in regulating fluid flow across the microvasculature. We review what is known about vascular leakage during dengue infections, particularly in relation to current knowledge of vascular physiology, and discuss potential areas of research that may help to elucidate the complex nature of this singular phenomenon in the future.